When a product shoot results in choc chip cookies I am most certainly in! 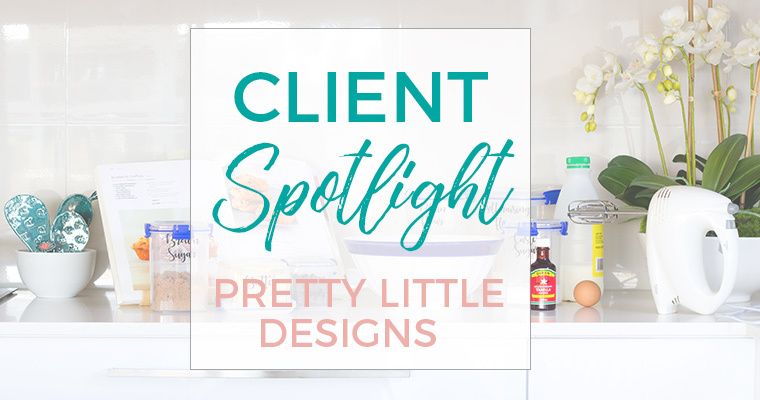 Deanna from Pretty Little Designs, a local home organisation business, needed styled products for her range of pantry labels. In my cry of “give your products something to do” we baked! I chose a recipe that had as many pantry ingredients in it as I could so that the styling would be believable. 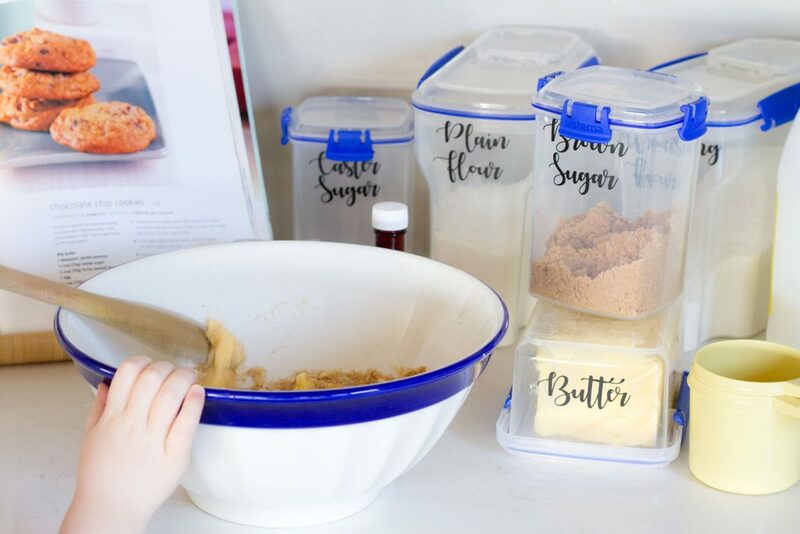 When you’re telling a story it’s important that everything that you have in the scene contributes to it… So there was no point having pasta containers in the background when we were clearly baking. You’ll see from the images that I had a little helper on this shoot too. 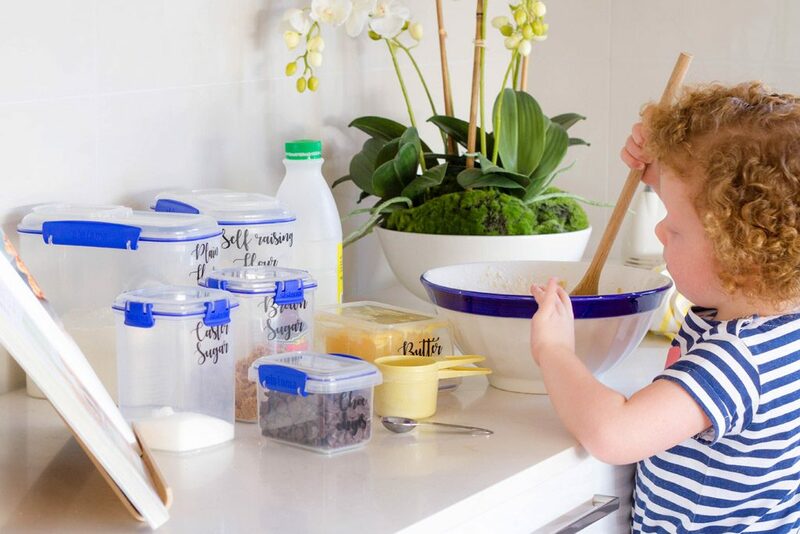 She adds to the story of home baking, family life that Pretty Little Designs were after. It was also important that we made it as “pretty” as we could, hence the picture in the background and the orchids. 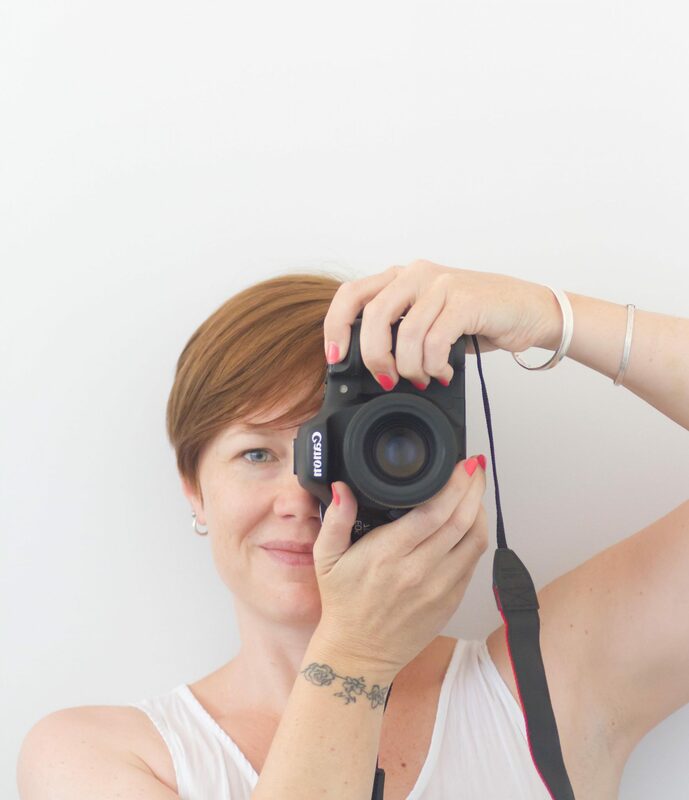 So, I’ll hand over to Deanna now so you can learn a bit more about the business and the amazing mum-of-two who has built it. 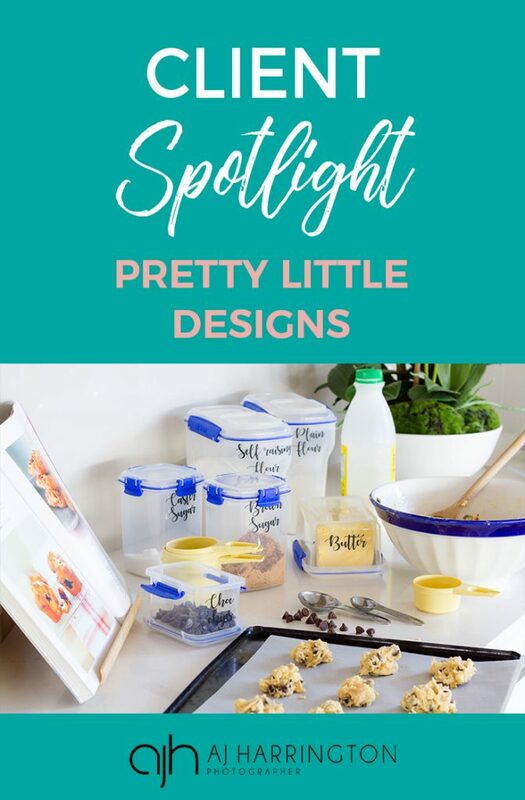 I own a business called Pretty Little Designs. I specialise mainly in high quality, Home organisation labels. 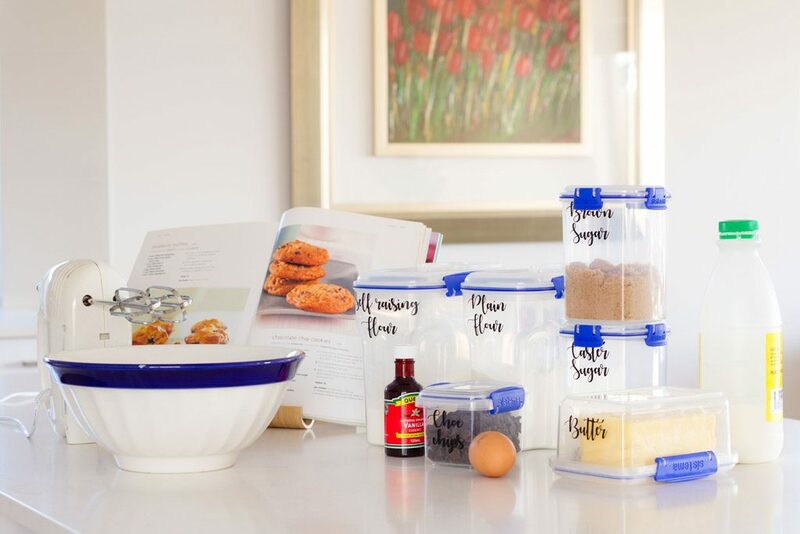 These vary from your pantry to your garage. Have you always been in small business? If not, what did you do before starting on this path? What do you think about when you’re driving in the car? Usually what’s the most important job I have to do on my to-do list. Then I think “Have I done a to-do list?” and I go in some long winded thought cycle that leads me nowhere near where I started. After having my first son I didn’t want to commute to the city anymore. I started my business with the intention of making Christmas items mainly Christmas Eve boxes. I sold the idea to myself that I’d play around making labels for things to make some cash while I built up money for supplies. Then before I knew it I ended up being a home organisation business. Caravanning with 2 small children. Very new and very challenging for the first few attempts and now we love it. What have been your biggest business hurdles to overcome? The biggest hurdle is my confidence and the general uncertainty that comes with running a business. Not knowing if I will do well with any of my ideas. I overcome it with allowing myself to be confident in my decisions and flexible in the approach I take. I never expected to start the business I have built. I’ve remained open to new ideas and followed my strengths. What’s the best piece of advice that you received in the early days? Just to take each day as it comes. To have a big goal for the end but to have smaller goals to achieve along the way. What’s a song you know all the words to? What do you do outside of biz? Outside of my business and my most important role is Mum to my 2 beautiful boys, 3 and 18 months and wife to my husband James. It’s definitely my favourite job in the world. Alongside that, we love going away in our caravan and exploring new places. Then of course, I love nights out with the girls. 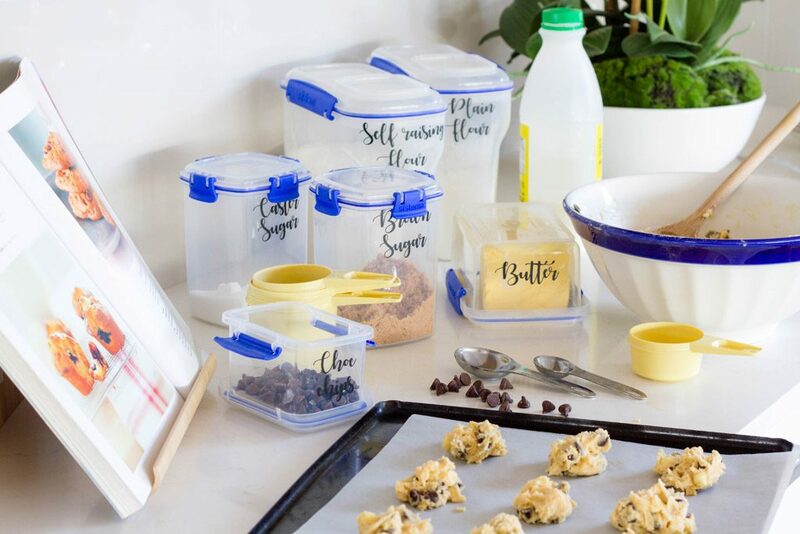 I’m excited to introduce a range of kitchen and home related products from other small businesses, many of which are environmentally friendly. I’ll be introducing a new line of home organisation with planner books and print at home wall planners. My budget friendly pantry and spice packs have been hugely popular so I’m looking forward to releasing some new designs over the next few weeks.